“Betty, I’ve got a part…you will kill,” casting director Linney James (Rita Taggart) tells naive ingenue Betty Elms (Naomi Watts) in David Lynch’s self-described “love story in the city of dreams”, the seminal classic, Mulholland Drive. Fifteen years later, Damien Chazelle has delivered the greatest “love story in the city of dreams” since Mulholland Drive with his swooning, joyous and melancholy musical La La Land…and he’s left the greatest part for us. In his story, we get to play the audience. And, boy, in this year of pop cultural celebrity deaths that has 1980’s children in nostalgia tinted tears and a political wasteland that hath wroth His Orange Emperor, man…we are so PERFECT for this part! We are gonna kill it! 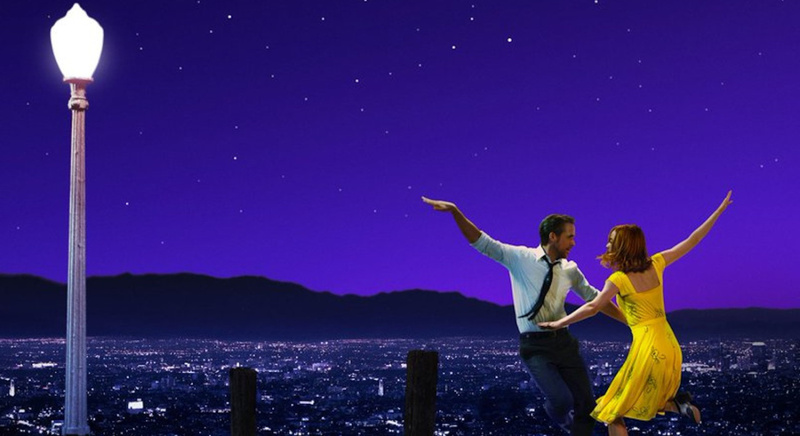 And we are going to love La La Land with its toe-tapping musical themes and heart-ringing ballads forever echoing in our collective unconscious to be passed down from generation to generation like our communal love for flickering wonders in the dark and dreams writ large on a silver screen. It’s possibly the defining fluff piece of our times, and it is beautiful. Like Mulholland Drive, La La Land weaves an archetypal tapestry of dreamers falling in love and getting swept up in the pulse and vibrations of Los Angeles. Here we have struggling actress Mia (almond-eyed, red-haired, fair-skinned, cute-as-a-button and sassy as all get-out Emma Stone in the type of role you wonder if a young actress could ever out-shine) and struggling jazz musician Sebastian (Ryan Gosling at the top of his Gos Game) breaking out into song (hell, and why shouldn’t they?) and literally dancing on air (a feeling anybody who has fallen in love can relate to). Like Lynch’s film, there are moments where you will drift away into the most rapturous of reveries (the opening “drivers-stuck-on-the-LA-freeway-breaking-out-into-song” bit perfectly disembodied, transportive and tone-setting), fall in love, laugh, perhaps cry, and wonder along with our big-eyed dreamers. Where Chazelle takes the film from beautiful fluff to art is his insistence on not resting on the musical norms while at the same time exploiting them for all their worth. Each wondrously choreographed dance number is breathtakingly dreamlike, both eschewing what we expect (and I normally loathe) in musicals while adhering to the genre’s most universal and transportive tropes. Chazelle employes lyricists who tell the story through the songs, not just put on a show…while the set designers, costumers and choreographers put on one hell of a show. Like a Lynch crossed with Woody Allen, Chazelle also displays an uncanny knack for showcasing the vapidity of Los Angeles juxtaposed with the imagination of the true dreamers. He builds this exquisitely in early scenes of Mia at parties having to suffer through conversations with people caught up in “the scene”. One writer talks about his screenplay idea for Goldilocks and the The Three Bears being retold from the point of view of the three bears, and his “Who knows, maybe there is a fourth bear?” line is the best throw-away satirical Hollywood bite since Allen had a young Jeff Goldblum “forget his mantra” in Annie Hall – another thematically similar relationship-centered film. But the climax of this development of Mia’s character is when she drifts off and begins to hear magical music through a speaker in a restaurant while her boyfriend’s douchy-elitist brother drones on about an Indonesian vacation that leads her to making a crucial decision that changes her life. Chazelle, who also proved quite adept in Whiplash of crafting biting, fighting dialogue, refuses to let his characters become clichés, and intersplices the songs with real conversations and character development culminating in one of the best couple’s fight scenes in many moons when Sebastian and Mia lay into each other over roasted chicken and the realization of paths diverging. And it’s those paths diverging, yet dreams (yes) fulfilled, that give La La Land its humanity and profundity. 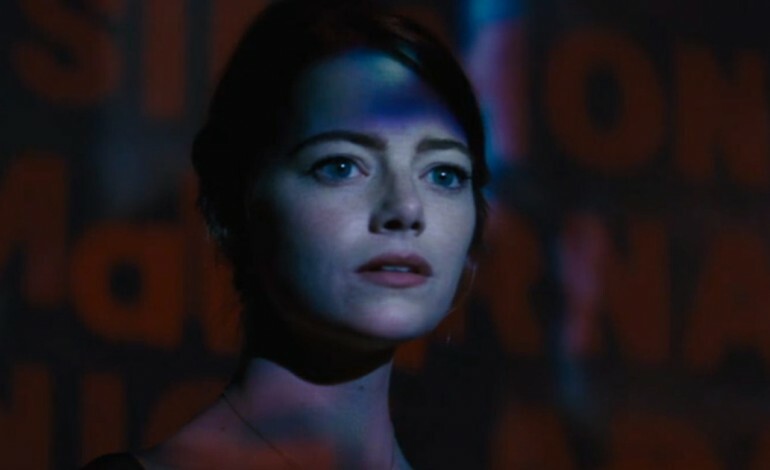 There’s an amazing audition scene that serves as the film’s climax, where I completely forgot that I was watching a musical, and I thought for a moment Emma Stone as Mia was going to deliver an off-the-cuff monologue to rival any of the audition scenes in Lynch’s Mulholland Drive or Inland Empire…but what does Mia do instead? She tells the story of her aunt and her dreams through a beautiful song that actually rings true, and is beautiful, sweet, sad, simple, universal. Perfect. And it signals the beginning of an end and the end of a beginning. The City of Dreams isn’t all happy endings…and some of those happy endings come at the expense of other dreams. For all the singing, dancing, and biting dialogue, it’s those quieter, muted moments with swelling melancholy themes accentuating the soundtrack while perfectly lit movie-star visages in reds, blues, and spotlights pine silently for what could have been, what was, what is, and what’s to come as “there’s the shot!” moments in a stream-of-conscious and fantastically rendered celluloid montage, that stick with you in the end. La La Land, at the very least, is the most beautifully lit film of the past twenty years. But at its very most, for the dreamers in all of us, it’s so much more. This entry was posted in Art, Art-house Cinema, Arts and Entertainment, Inspiration, Movie Reviews, Movies, Music, Pop Culture, Psychology and tagged Acting, City of Dreams, Damien Chazelle, Damien Chazzelle, David Lynch, Dreams, Emma Stone, Good Lighting, Jazz, La La Land, Los Angeles, Love Stories, Love Story in the City of Dreams, Mulholland Drive, Musicals, Ryan Gosling.